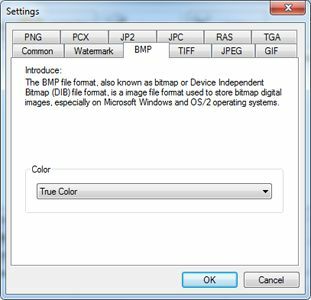 Output Format: Select output image format. 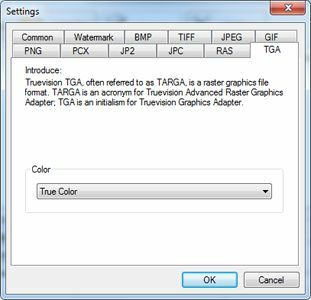 Support TIFF, JPEG, PNG, BMP, PCX, GIF, WMF, EMF, TGA and so on. 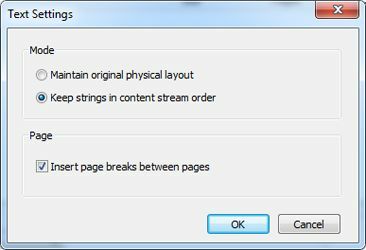 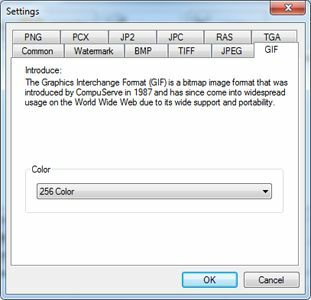 Page Range: Set source PDF page range to be converted to images.For example: 2,5-15,20- Extract page 2,page 5 through 15, page 20 through end. 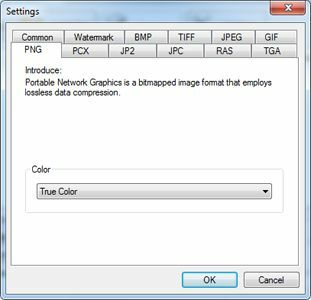 Resize Image: Set output images size. 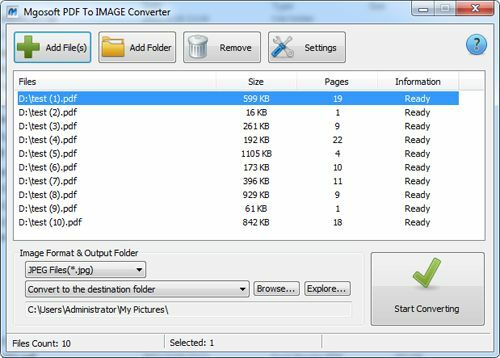 Resolution: Set resolution in generated image files. 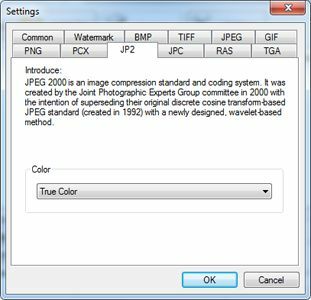 Rotate angle: Set rotate angle in generated image files. 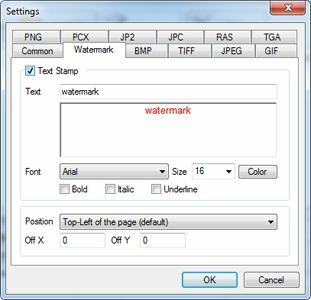 Watermark: lets you stamp watermarks on image pages . 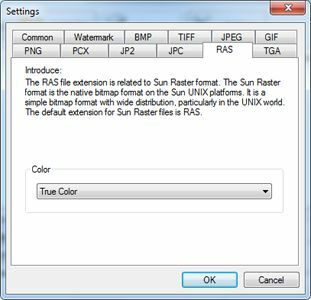 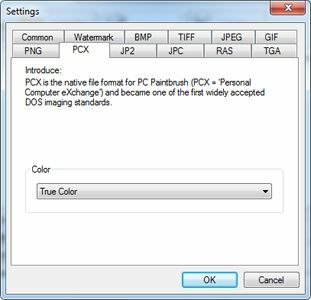 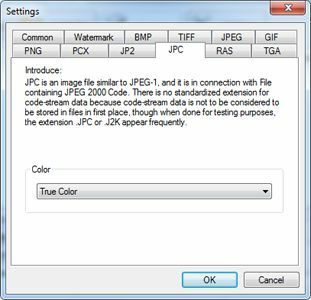 Color: Select color format for output images: RGB, Gray and Black/White. 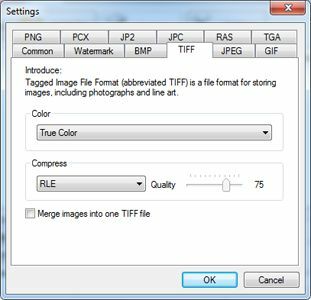 Compression: Set compression method for tiff files. 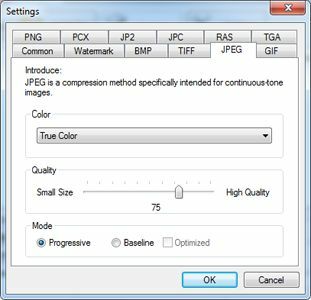 Quality: Set quality for jpeg image. 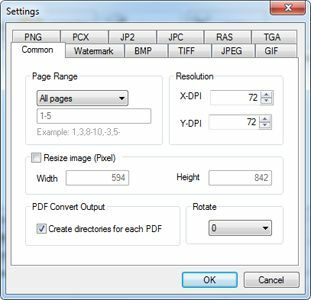 Extract Text from pdf with Searchable Text and Indexes.